New Delhi: India is on the verge of becoming the fifth world’s largest economy. 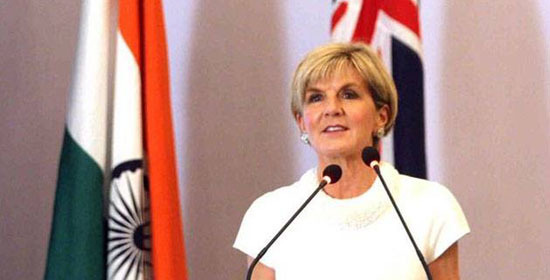 India stands among the leading countries attracting foreign investors. But this should not dampen our spirits. Prime Minister, Narendra Modi claimed that India is taking necessary steps every day, to bring about change and reform in the economy. He declared this while addressing the ‘India-South Africa Business summit’, along with the South African President, Cyril Ramaphosa. The SA President, Cyril Ramaphosa arrived on Friday to visit India. He met Prime Minister Modi. The leaders of both the nations in their bilateral talks have agreed upon a three-year strategic programme. 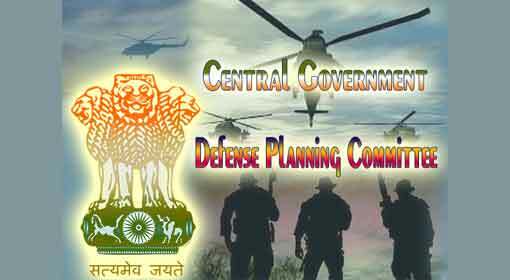 This programme aims at developing special plans to enhance cooperation in the areas of defence, security, trade, investment, information and technology and tourism. 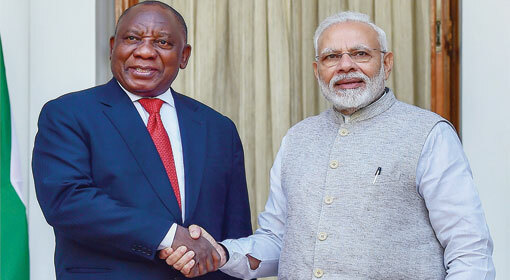 After the ‘strategic programme of cooperation,’ President Ramaphosa and Prime Minister Modi addressed a press conference. SAP resident stated that it expects a fruitful partnership with India. 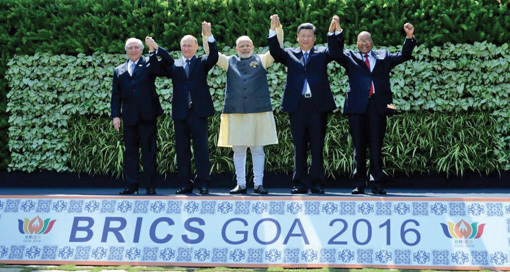 PM Modi mentioned that India’s relations with South Africa dated back to the era of Mahatma Gandhi. 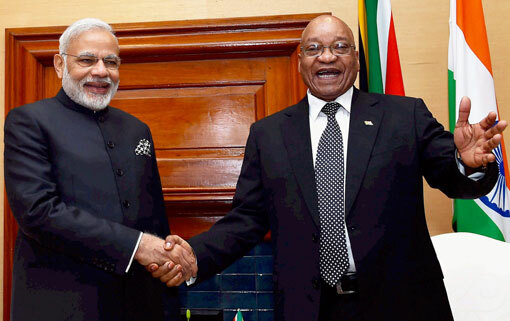 He assured that India– SA ties were getting stronger. PM Modi expressed content about the bilateral trade between India-Africa in the financial year 2017-18 that stands for more than $10 million. Subsequently, the Prime Minister mentioned India’s progressing economy while talking to national industrialists. Currently, India stands on the sixth position in the list of the global economy, but it may hop on to the fifth position beating the UK. India’s economy is worth $2.6 trillion. Similarly, the UN declared India as one of the leading countries in foreign investment. 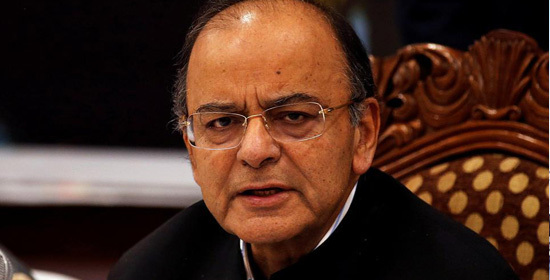 He drew the attention of the industrialists that the Indian economy is growing at the fastest pace. However, we must not stop here. He added that the Indian government would strive to change and reform on essential aspects of the economy every day. 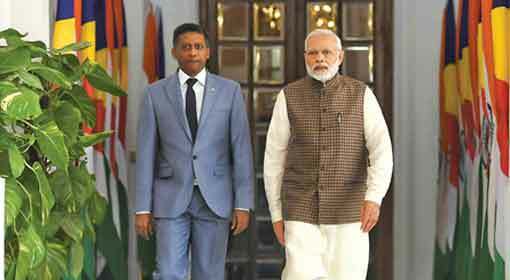 SA President Ramaphosa clarified that India-South Africa has got a huge opportunity to cooperate. 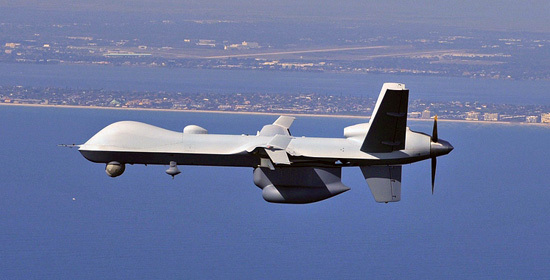 He added that there are many areas to enhance cooperation- such as defence, development of fundamental facilities, mineral, agriculture, power etc. He was the chief guest on the Republic day, which will aid in strengthening bonds among the two nations.